Close enough for a day trip but just far enough away from Brisbane to feel like an escape (bliss) Mount Tamborine is heaven on earth, especially when it comes to all the glorious gourmet eats. Come with us for a weekend in foodie paradise, just an hour from Brisbane. Hit the road early, we’ve got no time to waste girlfriend! Pack light, this car is going to be bringing a LOT of extra weight home. Park the car at your accommodation and fling your car keys into the bush – they’ll be no help to you now, you’re in wine country now. You’re going to need to line your stomach, and what better way to prepare yourself for a day of wine tasting than with a cheese platter in the sunshine? 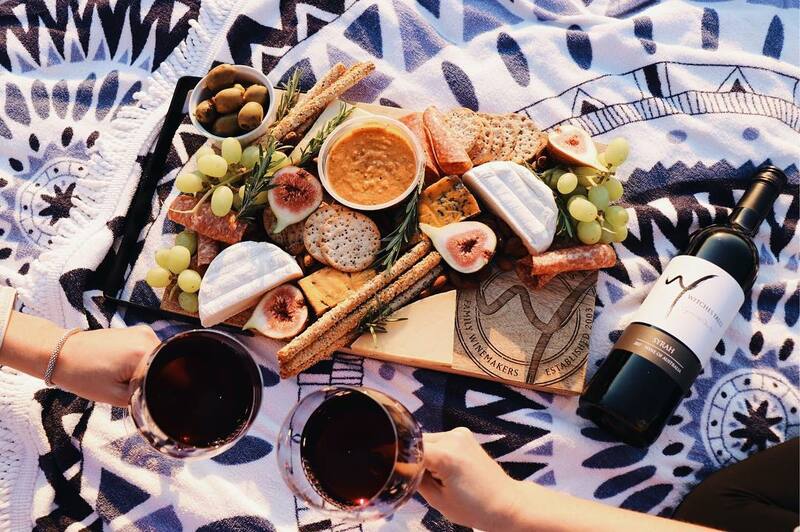 Witches Falls Winery is waiting, so nab a table outside beside the vineyards and work your way through a plate of locally made Jambreen Cheeses. We have it on good authority that the Witches Chase triple cream ash brie is worth leaving your partner for, and it’ll pair perfectly with the unique Witches Falls wines. Next stop? Cedar Creek Estate. Sip your way through the wine list before heading to the restaurant for a boozy lunch. Devour Peking duck salad with orange segments, crispy skinned chicken breast and pork belly with truffled mash whilst admiring the lush Mt Tamborine scenery from the Gazebo. Refuelled? Time to hit up Mason Wines, we sincerely hope you’ve been pacing yourself! Head to the cosy cellar door and let the expert staff guide you through their impressive wine racks (mind out of the gutter!) and taste your way to somm status. Got a big group? Kick back and enjoy a grazing style long lunch. It’s dinner time, and it’s time to pig out. Head to Three Little Pigs Bar and Bistro and feast on their famous slow roast pork belly, crispy sumac spiced quali and calamari. Have a couple of wines if you’re not all sipped out and hit the hay. You might feel a little dusty today but that’s no excuse not to hit the ground running. Start off your morning with breakfast at Drift. Power up with dukkah poached eggs, herbed mushrooms and crushed avocado, or keep it light with Earl Grey panna cotta. Now that the most important meal of the day has been taken care of, it’s time to hit up the second stop of the day – Fortitude Brewing. Grab a tasting paddle and work your way through the lagers, stouts, ginger beers, New England IPAs and pale ales. Next head to the Tamborine Mountain Distillery, one of Australia’s most internationally-awarded small distilleries. Taste the range of schnapps, limoncellos, gins, spiced rums and liquors. Stop by Hickory Slow for a recovery lunch. Start off with Witches Chase cheeses and sesame and paprika crumbed prawns before moving on to the main event – the trencher board. Spicy pork ribs, sticky chicken wings, rosemary potatoes and fresh, crunchy slaw. By this point you’re probably all food and boozed out. 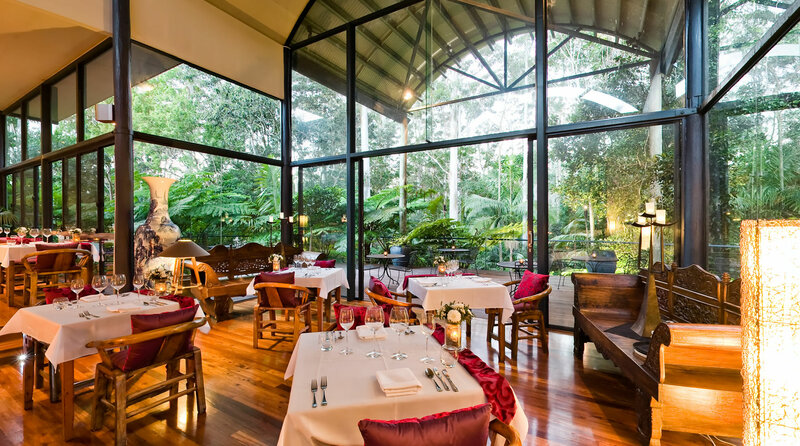 Head back to the hotel for a nap and relax before dinner, Pethers Rainforest Retreat is waiting! Created to show the best of local produce, the menu a Pether’s is as magical as its surroundings. Start with confit rabbit and pistachio, or keep it pescetarian with king prawns and cauliflower mousseline. Then enjoy tender lamb ragout or sous vide duck breast before finishing with ricotta semi-fredo or chocolate fredo. Roll on back to bed and set your alarm – it’s back to reality tomorrow! - the gourmand who measures the success of her holidays by how much weight she gains.